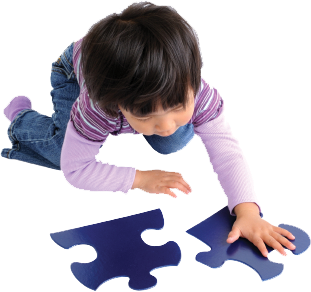 Is IBI right for my child? What is IBI? IBI is the application of the science of ABA in an intensive manner. As a general rule, it is done for a minimum of 20 hours per week no matter the severity of the child. This comes up right now, for my family, because it was almost 3 years ago that we were told that my son, Cameron, has Autism and it was then that we were told that he would be put onto a 3 year wait list for…. drum roll…. IBI. This is a big deal. 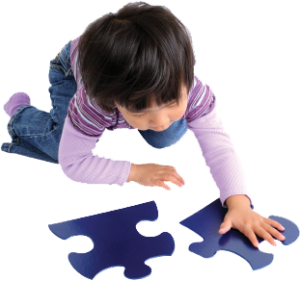 One to One IBI therapy is the only intensive therapy funded by the Government of Ontario for children with autism. This means that it’s really the only option for parents that don’t have a lot of extra money lying around for therapy. As part of the program, the child would be removed from their school for about 2 hours a day and put into a very intensive therapy session focused on key areas of development, ranging from being able to sit up to spelling out words on their own. The questionnaire was something akin to registering for the space program. A few hundred questions later and you’re put onto a waiting list. Our 3 year waiting period officially came to term this month and we found ourselves at a cross roads of frustration as we are forced to weigh the pros, cons and opportunities. 3 years ago we found ourselves with a non-verbal child, not toilet trained, unable to do most things that a 2 year old should. His diagnosis put him at moderate – to – severe PDD-NOS. Finishing the check list found us answering mostly “no”s to everything and feeling very discouraged. At this point, we took it upon ourselves (my wife mostly) to learn all we could learn about IBI and ABA… with every appointment, therapy session and meeting we had with people, we took away binders, books and pamphlets of information as well as all that they could ‘teach’ us. The thing I find most frustrating, and what I’ve been repeating since the very beginning is… if a teacher, school, program, therapist, company, organization or government doesn’t offer all that you want or need, you as the parent MUST MAKE UP THE REST. Do not rely on anyone or anything to provide for your child all that you need. So, armed with all the information we could get, we began our own IBI/ABA program here at home… population 1. We worked (99% my wife) with Cameron every single day, even if only for a few minutes, an hour… what ever, we worked on his numbers, colours, shapes, holding things, using things… all that IBI/ABA would have had him doing. I introduced the Nintendo Wii (Mario Kart specifically) because it had just one button to press and just a turn of the controller and that’s it. It greatly advanced his gross motor skills. All of this found Cameron progressing more and more and more. It wasn’t easy and certainly didn’t come over night. It also went hand in hand with everything else we could learn and try… such as the gluten free diet. 2 years later, Cameron was accepted into a wonderful school that has ‘regular’ children on the main floors and the basement dedicated to Autism. In a class with only a few others and many adults, he was further given the guidance and support he needed to grow and learn even more. And now, he’s in school for his second year (senior kindergarten) and is now spending many of his days with the ‘regular’ 1st and 2nd graders because not only is he smart enough for it, but he’s getting to be social enough too!! IBI came calling once Cameron’s name came up and we had to weigh our options. Would he benefit from getting more of what we started so long ago, or would he benefit more from the social life that he now had in school? First, let me tell you, a lot has changed in 3 years. Northern Ontario had recently made a rather drastic (in my opinion) change to their program and now insist on full time IBI sessions, which means no more 20 hours… it would replace school completely! The children in the IBI program here in this city are all quite severe and the only children that could possible be on the same level as Cameron are 9 and 12. Cameron would NOT relate to them at all. All of this, however, didn’t impact our decision nearly as much as what my very clever wife had decided. You see, this school that Cameron is in is so awesome that they have a 2 way mirror in it, such that any parents, at any time, can enter a private room and watch their children in the classroom without anyone knowing. So she had the IBI lady come to the school and join her in that room to witness Cameron’s progress, they brought the checklist. This time, all of the “no”s had become “yes”s… Cameron had surpassed all that IBI had to offer for him and in fact, would hold him back as he’d lose all of his social interactions, not just with other children with Autism, but with other children without Autism. And so, at the end of their observations, even the lady from IBI had to agree that Cameron’s best place was in the school. That there wasn’t much that they could do to help him progress since he’s already surpassed what they cover. That was what we really wanted to hear… that we were making the right choice and furthermore, that we had made the right choice all along. Now the question is, is IBI or even ABA for that matter, right for you? Well, I guess that depends on what you would get out of it and what you wouldn’t. Also, you must consider if your child isn’t getting something out of it, can you do it? Can you find a way to compensate for it? Are you dedicated enough? Resourceful enough? Determined enough? If your little one needs strict guidance and personal development, maybe IBI is a good choice. If your child need a social setting, then maybe not. For us, we feel that if we took Cameron out of school and put him in IBI for any period of time, it would be a huge set back once it came time to re-introduce him back into the social scene. He’d lose that ability to wait his turn, put up his hand, follow directions and seek out people on his own to play or work with. Only you can know for sure, questionnaires and observation can only take a professional so far. You need to know how much further you and your child can go. 5 Responses to Is IBI right for my child? What is IBI? Thank you for sharing your story and having the will and courage to take your child’s development into your own hands. It offers common sense and hope to parents and families who are feeling lost and puzzled about what to do when it seems there is nothing to do except get on a wait list. Thank you for sharing your story. My son has been recently diagnosed with moderate autism we have just started your path.